One of the strongest debuts we've seen this year. When 'Airy Met Fairy boast one of the most stellar and unique sounds in Europe right now. 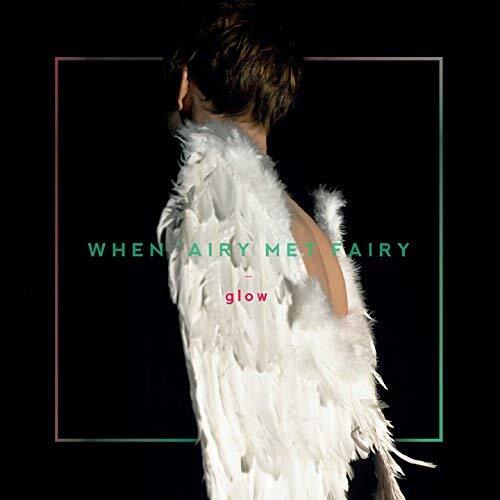 Glow is the full-length debut from Nordic duo When ‘Airy Met Fairy, and they sure know how to make a mark out of the gate. Last month, I spoke with the wonderfully unique When ‘Airy Met Fairy about a number of topics, most importantly their debut album, Glow. Since then, the album has dropped, and it’s an absolute treat. It’s extremely tough to categorise the duo under just one genre, but this album is a stunning and atmospheric journey that encapsulates the beauty of WAMF’s sound. Take the softer side of Of Monsters And Men and merge it with the likes of Ólöf Arnald, and you’re getting a taste of what to expect from Glow. The opening track is fittingly titled ‘123 Magic’, which is almost a countdown to the magical world you’re stepping in to, backed by the sounds of Glow. Instantly, you’re transported to this atmospheric and electronic world that grips you from this track right through to the closer. Thorunn Egilsdottir’s vocals are hauntingly beautiful, and the range she shows throughout this record is mind blowing. The album’s first single, ‘When Your Season Dries’ showed us her ability to pull off an atmospheric folk voice, and she does it superbly, but nearly every track on Glow shows us a different side of her ability. It’s inspiring, gorgeous, and completely impressive. After listening to this album and falling in love with just how stellar When ‘Airy Met Fairy’s sound is, I’m willing to bet they’ve got a lovely bright future ahead of them. It’s going to be exciting watching this duo build upon Glow’s foundation in years to come, music like this doesn’t come around very often.